While I sometimes disagree with Dennis Prager’s perceptions of certain principles and solutions, I recommend his and any honest examination of this question. Such a study reveals very harmful strategies and tactics by global collectivists (they like to say “communitarian”) elites for generations. For more on this intentional distortion of current events, history, and political philosophy, I recommend looking into Diana West’s revelatory book, American Betrayal and the work of a very underrated hero of the Twentieth Century, Norman Dodd. These recommendations go to Mr. Prager, too. 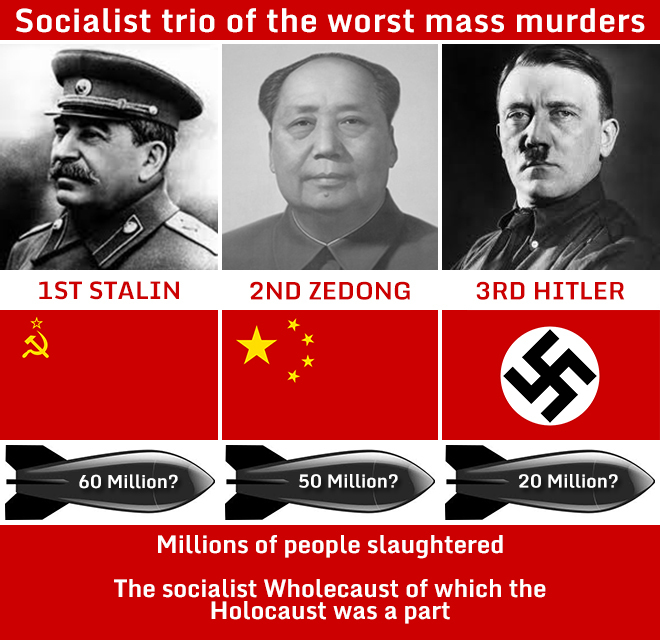 Communists killed 70 million people in China, more than 20 million people in the Soviet Union (not including about 5 million Ukrainians), and almost one out of every three Cambodians. And communists enslaved entire nations in Russia, Vietnam, China, Eastern Europe, North Korea, Cuba and much of Central Asia. They ruined the lives of well over a billion people. So, why doesn’t communism have the same terrible reputation as Nazism?